The Work-Study Program is a federally funded grant program which provides employment for students to help with the cost of education. 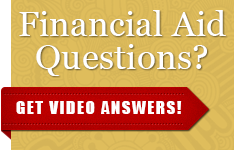 If you have additional questions, see FAQs or a Financial Aid Advisor during walk-in hours. Please call (209) 667-3336. If I am awarded Work-Study, what is my next step? Fill out the Student Assistant Employment Application and submit it to the appropriate department you're applying for. Funding is limited! Students may begin working the first day of each semester; or the date the hiring process is completed, whichever date is later. If you are a first time work-study employee that has been hired (not previously employed), a sign-in session with Human Resources is required prior to beginning work. Students will need to bring acceptable identification to one of the scheduled Sign-Ins. For more information please visit Human Resources website. * If one of the sign-in sessions conflicts with a student's classes, an appointment may be scheduled online at: https://www.csustan.edu/hr/student-employment/new-student-employee-sign OR by contactting Human Resources Department (MSR 320 Building #27 see map) at (209) 667-3351. NOTE: If your Federal Work-Study award is not accepted it or if you have not found employment it may be canceled. Cancellation is for the entire academic year. by following the TimeSheet Instructional guide. Do you need help with your resume? Preparing for interviews? A program funded through federal work-study .Tutors work with K-6th grade students to improve their reading skills at local elementary schools. If you were not originally awarded Work-Study and wish to receive Federal Work-Study, submit a written request to add work-study to your financial aid award. If funding becomes available, you will be notified by the Financial Aid & Scholarship Office. Only students who have a Federal Work-Study award may apply for jobs through the Work-Study Program.